Exhibiting at trade shows can be an extremely rewarding investment. But, it is important to make sure you do everything you can to maximize your investment. Choosing the right show(s) to exhibit at is critical. Exhibiting at a show simply because you “don't want to not be there", or because your competitor is exhibiting, are not valid reasons to exhibit. So, how do we become successful? We can look at companies that are consistently successful at trade shows. – Why do you want to attend this show? – What are you looking to get out of it? – Is this show worth attending? – Will people show up? – Have the show coordinators marketed this show effectively? – Still unsure about the show? Visit it without a booth first! – Does your budget allow you to do this show? – Will the ROI at minimum cover your costs for the trade show? After considering these key areas, you’ll have a better understanding of why you want to attend this trade show, how well your marketing efforts will succeed, and whether your budget allows you to participate. Your first order of business is to determine your objectives for exhibiting. What are you trying to accomplish as a trade show exhibitor as it relates to your overall sales/marketing strategy? All information regarding the shows you are considering must be viewed through the lens of your objectives. Additionally, it is critical to establish objectives that are measurable. This will help narrow your options and provide valuable post show data to determine your return on investment (ROI). For example, let's say you are looking to find leads for your paperclip company. You most likely know what your average customer looks like since you already have clients: usually corporate businesses, lawyers, schools, etc. Why do you want to attend this trade show? Now, imagine there is a trade show in your city aimed at higher education, colleges, universities, etc. Technically, you have clients that are schools and universities, so you think you might find some leads there. But chances are you’ll get very few leads, if any at all. You’ll also realize very quickly that you are out of place and customers may get negative conceptions of your company. This is because they are trying to talk about education and expanding their networks for learning. They aren't looking for school supplies; that's a separate niche. On the other hand, if you find out there is a school supplies trade show in town, you’ll find a large amount of leads willing to talk to you and your company. The bottom line is you want to exhibit at shows where you can effectively reach the highest number of qualified buyers, decision makers, and "influencers" that correspond to your objectives. Stick to your company’s niche and you’ll find much more success than you would if you spread out your efforts. Are you primarily interested in exposing your company/product to as large an audience as possible? Or are you looking for a more targeted audience? Is the information/product technical or generic in nature? What is the demographic/geographic profile of show attendees? Is it a regional or national show? Answers to these questions will help match your objectives to your audience. Getting this wrong will cost you a great deal of time and money! Reviewing the history of a trade show is helpful in determining its effectiveness. New trade shows can be exciting, but they can also be a huge risk for first-time exhibitors. They have no previous data, can’t guarantee there will be attendees, and might shut down after you’ve already made an investment in a booth. Make sure you follow up with your leads after the show! | "The Myths of Lead Management"
Shows that have been around a while have an established track record of performance both in terms of exhibitor and attendee data. Ask the show producer for all pertinent data regarding attendee demographics as they relate to your objectives. With this data, create an "attendee avatar" with all the characteristics that make up your perfect prospect and measure it against the data provided. If you have already established your intent, then this should be easy to work out. If you are looking to sell products at the show, see how many items were sold by other companies in previous years. See if there is data showing the average number of leads each company generates from this show. How many attendees showed up at the last show? How many exhibitors attended the last show? Does the show's goals and theme fit your niche/expertise? Does your "attendee avatar" fit the data from the last show? How many items were sold at last year's show? When speaking with show producers, ask for details regarding their specific efforts to attract the type of attendees you are looking for. These should include advertisements in specific trade journals, web advertising, direct contact by show production staff via email or phone, direct mail campaigns, etc. Most trade shows have a website for you to register and check out speakers, events, etc. If their website is sub-par or down, it’s reasonable to believe they are putting minimal effort into marketing the show. Their website should also pop up after a simple google search. The Consumer Electronics Show (CES) is easy to find and has lots of publicity. They have marketed their show very well. If you can’t find their website or any marketing material for the show on the first page, they aren’t doing a good job of marketing the show effectively. Reputable show producers can also provide pre-show promotion assistance to help you reach your target audience. They will have in-show and post-show techniques to help capture attendee data using surveys and promotions. Are there noticeable marketing efforts online or in trade publications? Is their website searchable and functional? Do the show reps provide pre-show promotion assistance? Are industry leaders going/speaking at the show? What lead-capture techniques do they have available for you? If possible, try to attend the trade show before you become an exhibitor. Some trade shows have multiple events per year, giving you plenty of opportunities to attend the show beforehand. Although it is important to obtain as much data as possible from the show producer, it is just as important to get as much additional information as possible from actual exhibitors. By walking the show floor and attending networking events at the show, you will be able to talk with exhibitors and get a feel for how things are going. This relates not only to attendee information, but to other pertinent information such as their overall experience dealing with show services as well. Ask them questions such as how many people have attended, how engaged the prospects are, if they’ll be back for the next show, etc. If you cannot attend the trade show, you can contact a few exhibitors after the show to ask about their experience. Additionally, you should scour trade publications and the web for any third-party reviews of the show. 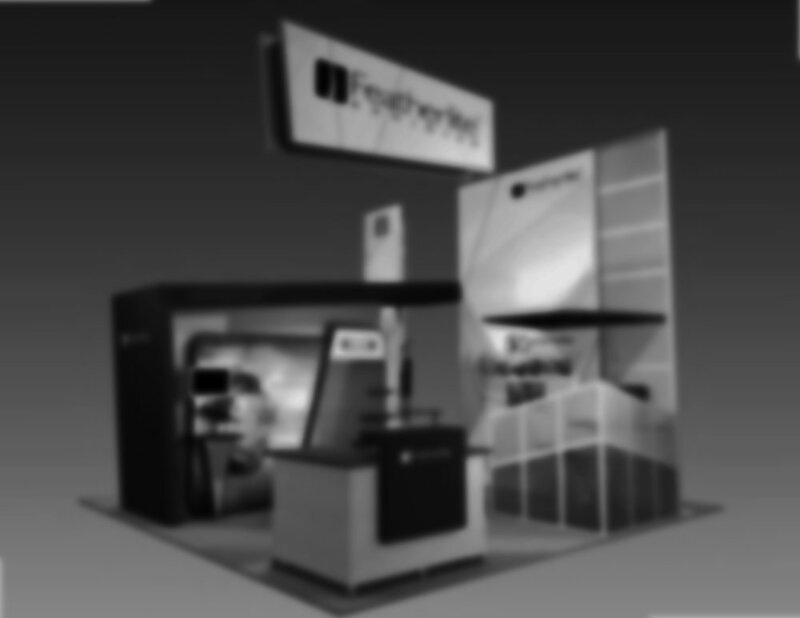 How many years have you been attending this trade show? How helpful are shw services? Are they quick and easy to deal with? How many leads/customers do they expect to acquire at this show? Are the attendees engaged and interested in the products? Ask about any tips they're willing to give you! When considering exhibiting at a trade show, it's easy to get caught up in the fervor of the anticipated benefits. IF you followed the previous 4 steps. In tip #1, we established the importance of measurable objectives in determining ROI. Our final tip concerns the importance of tracking the investment associated with exhibiting. These go beyond the obvious costs of the exhibit space itself, travel, lodging, meals, and entertainment. The cost of the exhibit you use at the show can vary greatly depending on many factors. You can use anything from a table top exhibit, portable exhibit, modular exhibit, custom modular, or even a custom exhibit depending on the size of your booth. There may be other expenses that aren’t talked about here, and, unfortunately, each show has a different set of costs. Therefore, budgeting is the most important aspect of trade show investment. If you run out of money before you even get to the trade show, you won’t be able to make your return on investment. This can be overwhelming for exhibitors, so it is important to consult with a reputable exhibit company to help you navigate the waters. They’ll be able to work within your budget and warn you of any potential surprise costs that may come up. At ExhibitSense, we can help you from start to finish. We will take you all the way from the show paperwork all the way to providing the exhibit and all related services. Our goal is to help you do all of this as economically as possible. But let's save that for another blog post.